Physicool now available at GrandStand! 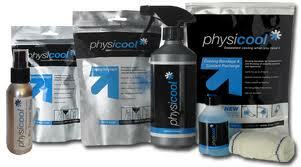 GrandStand is now stocking the Physicool range of products. Physicool is the Ice-Pack that you can carry in your training bag, as it is always ready to provide cold and compression. No more searching for ice, leaking bags or ice burns. This product is washable and reusable and available in a variety of sizes to suit your injury.